This weekend, we have ‘Big Jim’, USATC S160 2-8-0 5820, at the head of steam services on all three days of the Bank Holiday Weekend. On Sunday and Monday 5820 and will be joined by Ivatt 2-6-2T 41241 hauling the suburban set of coaches. 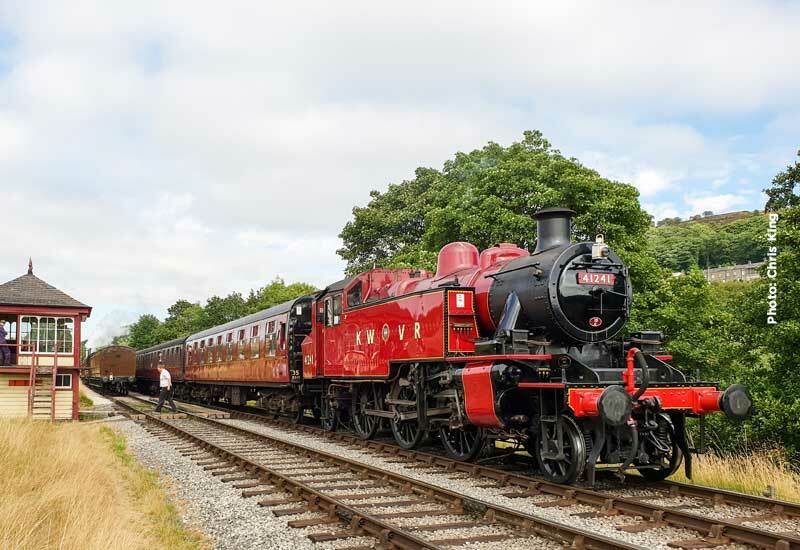 On Saturday (Green Diesel & Ale Timetable) the first train departs Oxenhope (diesel) at 09.00 with steam locomotive trains operating from 11.00 and on Sunday and Monday (Blue Timetable), the first passenger service is steam hauled at 10.15. On Saturday & Sunday the Vintage Tour Bus will be giving Haworth – Oxenhope bus tours around the Valley, free to holders of Rover tickets, and will operate to a specific Bus Timetable.